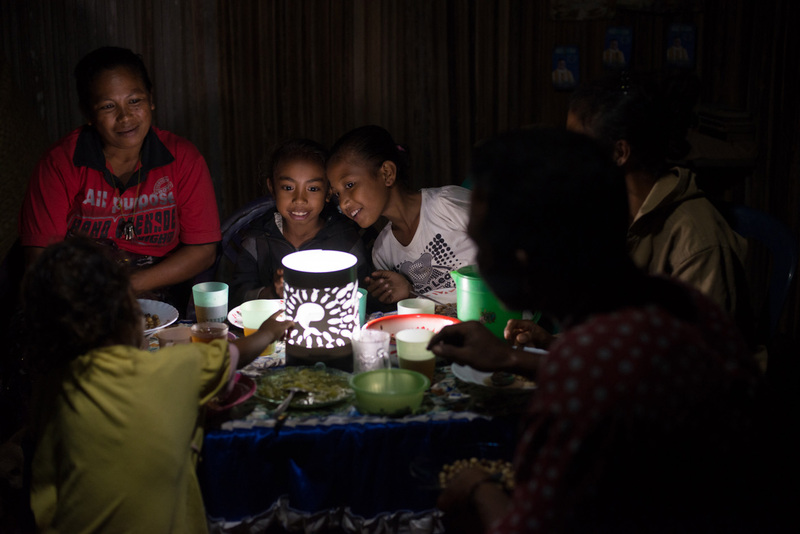 WEST TIMOR, Indonesia, May 18, 2015 — (PRNewswire) — At the end of February 2015, a lantern donation and lighting ceremony was held in the village of Sone, in Indonesia's West Timor, as part of a related project. The " Cut Out the Darkness" project, a part of Panasonic Corporation's " 100 Thousand Solar Lanterns Project," delivers solar lanterns with lantern shades designed by people from around the world, in hopes of learning about the challenges of living in areas that have no electricity. At the lantern-lighting ceremony, all kinds of animal designs on the shades appeared suddenly, as if floating in the air, when the solar lanterns were turned on. The theme was a "Zoo of Light." View the moment of "Lantern'zoo". Jhon Gideon Adu, a local coordinator for Kopernik, had this to say: "The people of Sone village thank Panasonic and everyone who participated in designing the lantern shades. Thanks to the light of the solar lanterns, they can work effectively and families can get together at night. Children can study, and the various designs on the shades expand their interests. We are very grateful for your support." 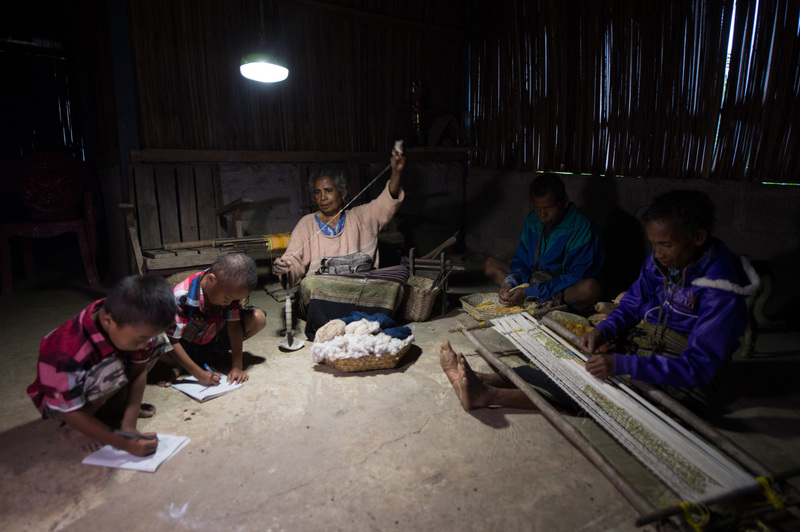 Hisao Tsugita, project leader of the "Cut Out the Darkness" project, said, "By creating the lighting ceremony together with the villagers, we were able to feel a sense of unity. We hope that the designs in this project will open up a new world for the children in the village as well." Panasonic plans to continue working on the "100 Thousand Solar Lanterns Project" as part of its efforts to pursue "A Better Life, A Better World" and to contribute to the achievement of the United Nations Millennium Development Goals (MDGs).